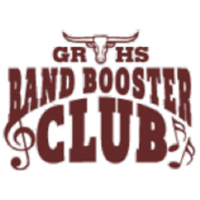 On March 24th from 11 am to 4 pm, the George Ranch High School Band Booster Club’s (GRBBC) 6th Annual AutoRama at the Ranch will take place at the high school. A fun, free community event, AutoRama at the Ranch is a unique car show featuring hundreds of classic cars, trucks and motorcycles from all eras. The high school is located at 8181 FM 762 Rd. in Richmond. Last year, more than 1,800 people attended the show, visiting with the car, truck and motorcycle owners who were displaying their vehicles. A continuous stream of musicians performed on the front steps of the school – a natural stage and focal point for the show. This year’s musical acts will feature various local bands and student groups, including the GRHS jazz band, drumline, student choirs and much more. Also returning this year are several local food trucks, making great food part of the mix. Specific food truck vendors include The Sauer Kraut, Renegade and Kona Ice. Legacy Ford of Rosenberg will host their Drive 4 UR School event offering four to six of their latest Ford models. For every valid test-drive, Ford Motors will donate $20 to the program. Last year, the community helped GRBBC earn a check for over $700 from Ford Motors. In addition to cars, music and food, the 6th Annual AutoRama at the Ranch will also host a Mattress Fundraiser by Custom Fundraising Solutions. Located inside George Ranch High School, visitors can view and purchase a wide variety of quality mattress styles, made from the best materials in the industry, by the top manufacturers in the country for a savings of up to 50% off traditional retail pricing with full manufacturer’s warranties. AutoRama will feature a 20+ mattress showroom displaying a sample of the options available. Delivery will be offered to homes across the nation! AutoRama at the Ranch is designed for the whole family and includes fun activities and games for kids, along with carnival games and bouncy slide. There is no admission fee, although attendees are encouraged to bring fruit cups, juice boxes/pouches or granola bars to donate to Lunches of Love. Car, truck and motorcycle owners interested in displaying their ride and competing for top honors and trophies in a variety of categories can register online at www.autoramaattheranch.org. Local businesses can support the event as well. Sponsorship opportunities are offered at several levels starting at $100. Businesses looking to join the sponsor roster can contact Laura Bowen at laura@laurabowen.net to learn of the benefits and specific levels available. Additional information regarding sponsorships can be found online at www.autoramaattheranch.org. GRBBC is registered with the IRS as a 501(c)3 charitable organization so contributions are tax deductible. All AutoRama at the Ranch proceeds directly benefit the 180+ GRHS band musicians and color guard performers. The band performs at all GRHS football games, Fort Bend County Fair Parade and Katy Music Festival. Additionally, the band competes each year at the Bands of America’s San Antonio Super Regional Championship and various UIL contests throughout the school year. The funds raised help offset the costs associated with supporting these activities, including salaries of the color guard directors and various technicians, instruments and equipment, leadership camp for Section Leaders, travel to State UIL competitions and multiple end of the year scholarships. Questions? Contact Victoria Stuckman at victoria.stuckman@att.net or visit www.autoramaattheranch.org.